As University of Illinois at Chicago faculty members went on strike this week for the first time in school history, English Professor Walter Benn Michaels took a break from picketing to give a reporter a lesson about the academic pecking order. Looking up at the school’s tallest building — the 28-story University Hall — Michaels pointed out that the top floors are for UIC’s senior administration. “You got people up there making a lot of money,” he said. Most of these employees, Michaels pointed out, have doctoral degrees and teach full-time for UIC. Eighteen months since the Illinois Federation of Teachers won certification to represent 1,100 of the school’s faculty members, they are still trying to get their first collective-bargaining agreement. Their dispute has become a flashpoint in a nationwide battle over the fate of higher education. On many campuses, that battle pits socially driven professors against market-oriented administrators and trustees or, as Michaels describes them, “neoliberal” forces. The main unresolved UIC bargaining issues concern faculty compensation. The school’s administrators say they cannot give the union all it wants. Over four years, according to UIC, the faculty’s demands would hike costs by 23 percent for tenure-system faculty and 27 percent for the rest. But faculty members say the two-day work stoppage, which ends Wednesday, is about more than their pocketbooks. They say it is about their students. The only way to properly advise all these students, Michaels said, would be to deploy the department’s non-tenure-track faculty — the folks who get $30,000 or $35,000 a year. Professors in fields ranging from art history to philosophy also claim that it has become harder to get approval for courses that may not attract hoards of students. When it comes to colleges and universities struggling to do right by their students, UIC is less the exception than the rule, according to Gary Rhoades, director of the University of Arizona’s Center for the Study of Higher Education. The academic areas deemed valuable, Rhoades explained, are those that help students get jobs as soon as they graduate. Michael Poliakoff, vice president of policy at the American Council of Trustees and Alumni, suggested that UIC emulate “smart” universities and colleges that have formed consortia and transitioned to interactive video. He said there may not be any other affordable way to provide low-enrollment programs ranging from classics to foreign languages. Poliakoff also echoed Harvard Business School management guru Clayton Christensen, who says on-the-job training is pushing aside the traditional U.S. higher-education model. “Fifteen years from now, half of the colleges and universities in this nation are going to be in bankruptcy,” Poliakoff warned. “It is the business of an institution to ensure that it is cost-effective,” Poliakoff said. 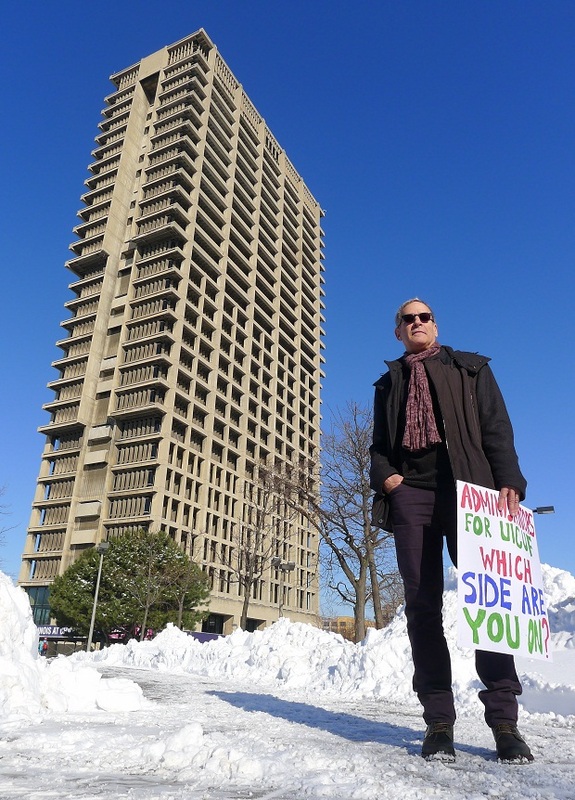 The UIC faculty members call their strike an effort to ward off that sort of thinking. They insist they are standing up for their students. When the sides resume bargaining this Friday, they will have to decide whether that value is something the school can still afford.